Hey, we at C&W Appliance Repair like great eats. Here is a great little recipe we found that you can try no matter what kind of appliances you have. For a tasty appetizer to serve at your next affair, or just a healthy comfort food, try this recipe from Sub-Zero Wolf. In just three easy steps you can have a nutritious snack, or multiply the recipe for a colorful platter of h’ordeuvres. Combine vinegar, water, sugar, and salt in medium bowl. Whisk together until dissolved. Add radish slices. Refrigerate a minimum of one hour or up to 8 hours. Mash avocado and lemon juice together with a fork. Add salt and pepper to taste, and mix well. Toast bread on “Setting 4” in your Sub-zero Wolf. 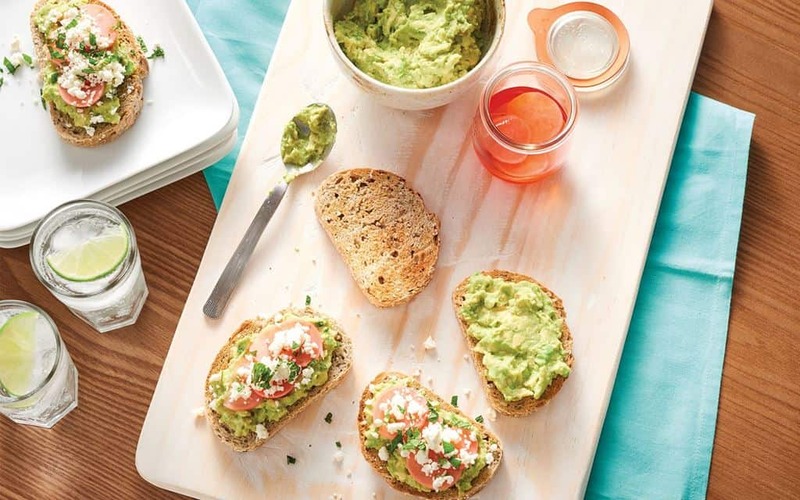 Spread avocado mixture evenly on each slice of toast. Top each slice with radish slices, feta, and herbs. Serve immediately. Pickled radishes can be preserved for up to two weeks in the refrigerator. What a simple, easy recipe to toss together for a snack or for last-minute visitors! Remember C&W Appliance Services when you need some repair work for a wide range of appliances, call us at (214) 358-1496.